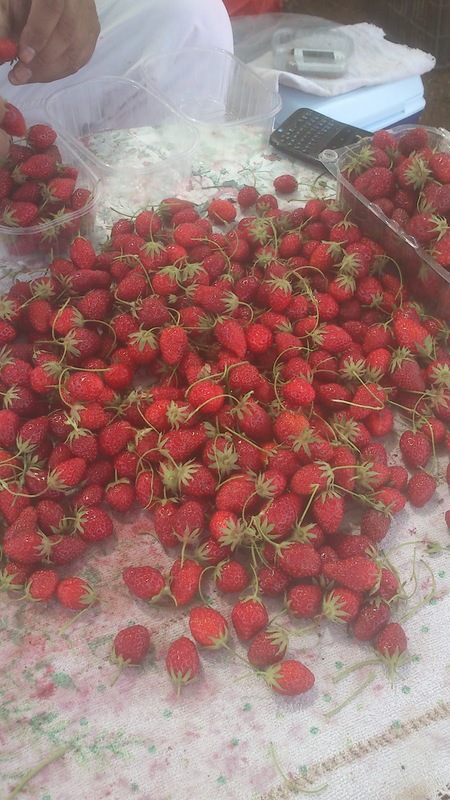 If you like strawberries, avoid Elsanta, the supermarkets' favourite and head straight for Mara des bois a variety created in 1990 by the French nursery Marionnet to rival the best woodland type. These medium to small fruit are succulent, aromatic and sweet. Bite into one and you're hooked! 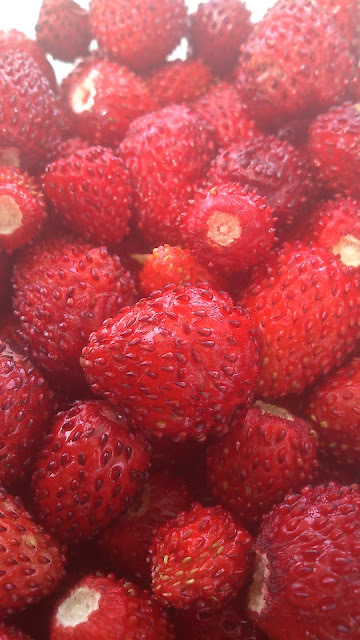 Today I was lucky to indulge in a bowl of fraises des bois and Mara des bois, courtesy of Nadim Ghorra, an economist by trade who has developed a passion for growing berries and other fruit. In a small plot of land on the sunny terraces of Mount Lebanon he leads a fight against pesticides and promotes natural fertilisers. A mammoth task in this tiny country! 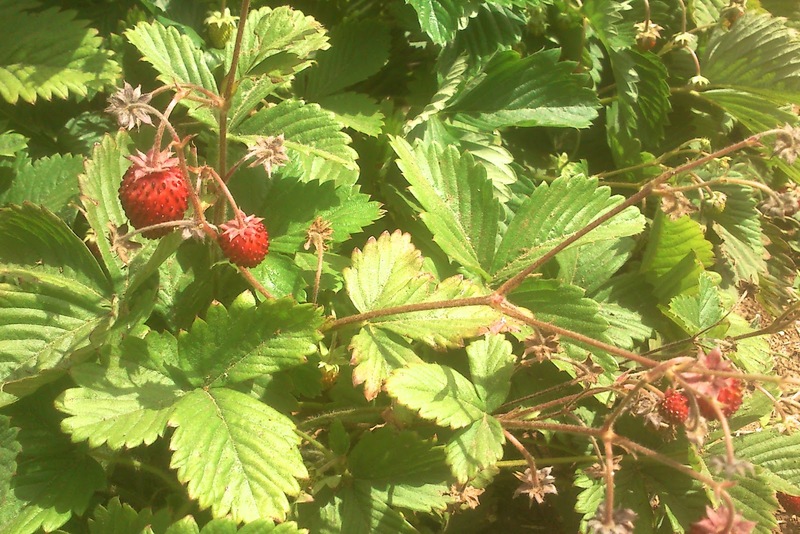 I managed not to eat all the strawberries and had some left over to make jam tomorrow. Ensure the fruit is as fresh as possible. Keep the green caps and stems on until the fruit is used. Avoid eating fridge cold strawberries; leave them to warm up to room temperature.